The Marantz PM 5005 Integrated Amplifier is the first in its class to offer current feedback architecture, a feature that normally is reserved for more expensive amplifier models. 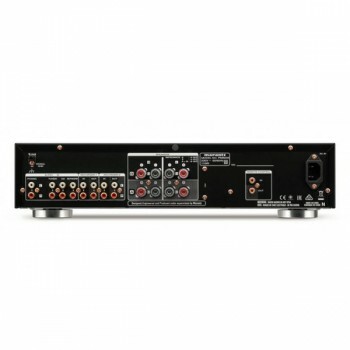 This technology provides very fast and accurate signal handling, resulting in perfectly balanced stereo sound reproduction as well as a very open and precise sound stage. The PM5005 has also been enhanced with performance optimizing discrete audio circuitry and fine-tuned internal components. 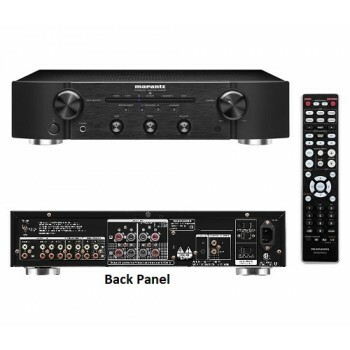 The Marantz PM5005 Amplifier offers 40W per channel into 8 ohms or 55W into 4 ohms, and includes a metal chassis and a front metal panel to ensure a very rigid and solid base. The PM5005 uses current feedback design. This extraordinary circuit accurately tracks quickly changing, wide bandwidth musical signals for greater resolution of fine musical detail. 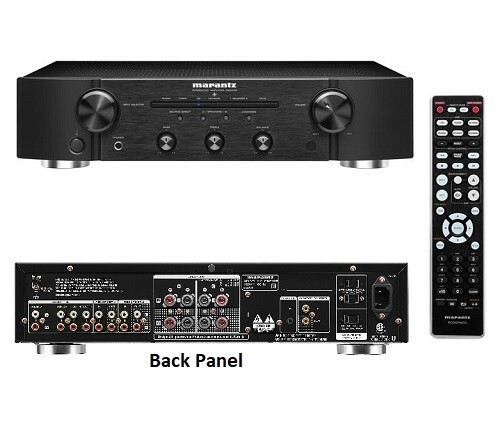 The amplifiers themselves are custom-designed by Marantz entirely with discrete components, so you don’t suffer any of the built-in limitations of off-the-shelf integrated circuits. Marantz's notable HDAM SA3, the most recent addition to the Hyper Dynamic Amplifier Module series, performs critical stage-to-stage signal transfers that leave the music unaffected. Most inputs benefit from a common buffer circuit that minimizes unwanted interactions between source and amp. The CD input enjoys a separate buffer for even better isolation. Even the Record Out terminals are buffered for enhanced recording clarity. Attention to detail is the order of the day with the PM5005. Each of the five line level inputs and the phono input feed a buffer circuit that minimizes any interaction between the source and the PM5005. That's right, we said a phono input. The built-in MM moving magnet phono stage lets you connect a turntable and will do your vinyl proud. And there’s a Source Direct switch so you can bypass tone and balance controls for the shortest signal path from input to output. Want to record your favorite sources? Just connect the recording device of your choice to the Record Out jacks and begin! Connecting speakers is easy, too. Marantz-designed loudspeaker terminals are easy to use and let you see if there are any problems with your wiring.